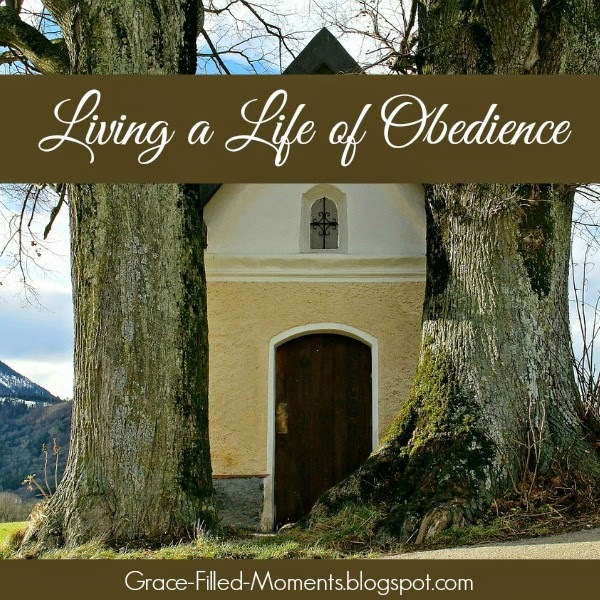 Living a life of obedience to God can be difficult in a world that is so anti-God. This is why we must be in the Word of God every.single.day. to draw refreshment from its living wells. I'm so thankful for the older generation in my life who have walked faithfully with God! Their walk with God encourages me to press on in my walk. I love to sit and fellowship with women who have journeyed with God faithfully over the years of their lives. They have so much godly wisdom to share from their life of obedience to God. I love to have them pray for me because their prayers are powerful and anointed with the truth of God's Word that they have hidden in their hearts over the years! I want these same things to be said of me one day! I want to influence the younger generation to see that living a life of obedience to God is possible and it is something to be desired above anything else that this temporary world has to offer. In Exodus 7 and 8, we see how even with a shaky start Moses and Aaron walked in obedience to all that God called them to do in speaking to Pharaoh and performing the miracles He empowered them to do. God was wanting not only to deliver the Israelites through the miracles, but He was also wanting to make Himself known as the One True God to Pharaoh and the Egyptians who served false gods. ...as children of God, are we shining the Light of God - Jesus - in this dark world? ...are we allowing God's empowering presence to work through us so that we can speak Truth into the lives of those around us? ...are we living a life of obedience that will draw the generation that is now coming up under us into a saving relationship with Jesus Christ? May it be so in my life and in yours, my friend! Like Moses and Aaron, we too may have had a shaky start in walking in obedience to God. But just keep praying and remember that tomorrow is a new day that we can make a fresh start! So the Lord said to Moses: “See, I have made you as God to Pharaoh, and Aaron your brother shall be your prophet. 2 You shall speak all that I command you. And Aaron your brother shall tell Pharaoh to send the children of Israel out of his land. 6 Then Moses and Aaron did so; just as the Lord commanded them, so they did. 7 And Moses was eighty years old and Aaron eighty-three years old when they spoke to Pharaoh. 19 Then the Lord spoke to Moses, “Say to Aaron, ‘Take your rod and stretch out your hand over the waters of Egypt, over their streams, over their rivers, over their ponds, and over all their pools of water, that they may become blood. And there shall be blood throughout all the land of Egypt, both in buckets of wood and pitchers of stone.’” 20 And Moses and Aaron did so, just as the Lord commanded. So he lifted up the rod and struck the waters that were in the river, in the sight of Pharaoh and in the sight of his servants. And all the waters that were in the river were turned to blood. Observations: From these verses we see that Aaron is not only Moses’ spokesman (as a prophet according to God in verse 1), but he also performed the miracles in these verses. He was being directed by Moses who was directed by God since Pharaoh did not acknowledge God. I also noticed their ages…Moses was 80 and Aaron was 83. Application: We are the hands and feet of Jesus. It’s hard as Christians to be ridiculed and rejected for our faith in God, but we must not grow bitter toward those people because they are not rejecting us – they are rejecting God. We must continue to pray for lost souls to come to a saving knowledge of Who Jesus is and how God sent Him to die for everyone who would believe on Him and receive forgiveness of their sins. God can use us whatever age we may be. I so appreciate the older generation of Christians and love hearing their testimonies of God’s faithfulness in times past. They have such a treasure of knowledge to share with those of us who follow behind them! Kneel: Heavenly Father, thank You for Your love and mercy that You gave to us in sending Your Son, Jesus! Help us, as Your hands and feet, to share the good news of the Gospel of Jesus Christ to all those who need to find forgiveness of their sins and restoration of their relationship with You. May we not grow weary or discouraged when our efforts are rejected – help us to pray earnestly instead, knowing that they are not rejecting us personally, but sadly and truthfully they are rejecting You and Your Son. Thank You, Father, for the older generation who have persevered in the faith and continue to walk faithfully as Your children. Bless them I pray and may they sense Your sweet presence in their lives as they continue to be mighty oaks for Your glory. I pray and ask this all in the wonderful and saving name of Jesus. Amen! 5 Then the Lord spoke to Moses, “Say to Aaron, ‘Stretch out your hand with your rod over the streams, over the rivers, and over the ponds, and cause frogs to come up on the land of Egypt.’” 6 So Aaron stretched out his hand over the waters of Egypt, and the frogs came up and covered the land of Egypt. 16 So the Lord said to Moses, “Say to Aaron, ‘Stretch out your rod, and strike the dust of the land, so that it may become lice throughout all the land of Egypt.’” 17 And they did so. For Aaron stretched out his hand with his rod and struck the dust of the earth, and it became lice on man and beast. All the dust of the land became lice throughout all the land of Egypt. Observations: Moses continues to instruct Aaron with the miracles God has told them to do against Pharaoh for refusing to recognize and honor God. God empowers Aaron to perform the miracles. Application: God will do whatever He can to get our attention. God’s grace – His empowering presence – enables us to be who He created us to be and to do all that He calls us to do. Live in obedience to all that God calls me to do. Kneel: Heavenly Father, thank You for loving us all so much that You will do whatever it takes to get our attention. Remove the scales from our eyes so that we can see You in every facet of our lives. Help us to walk faithfully with You in the valleys of this life and help us to look for what it is You are wanting to show us about Your character in the midst of our battles. Thank You so much for Your grace that strengthens me each day to walk as You are calling me to walk. May others be encouraged to draw closer to You by the life I live. In the life-changing name of Jesus I pray. Amen! 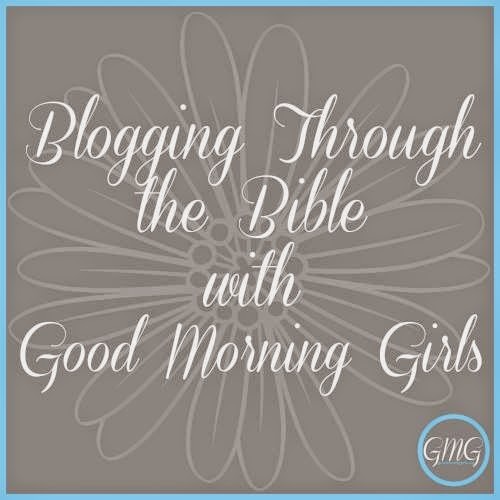 I'll see you again on Friday for another Blogging Through the Bible post! Have a great rest of the week!